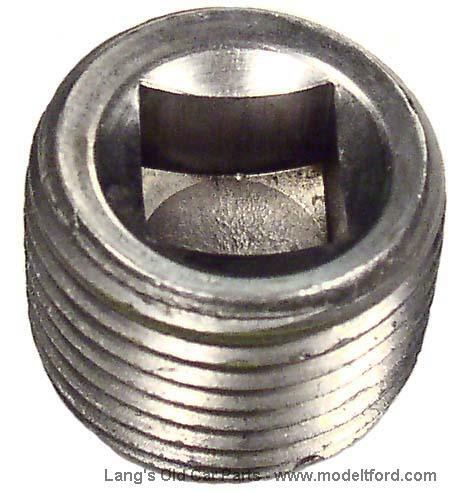 Oil drain plug with a built-in magnet that will collect loose metal particles. This oil drain plug has a square drive hole on head. 1 per car, coarse thread . It is the correct coarse thread style for the rear end on some 1926-27 chassis only. The 1926-27 oil pans used a hex head oil plug, Part# 2532M.